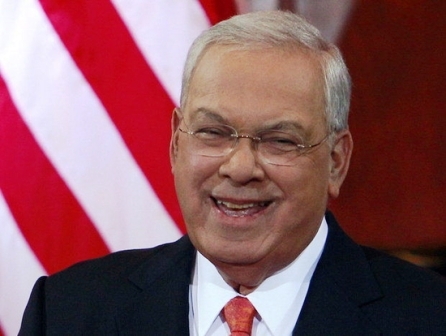 The decision of Boston’s long-time Mayor, Tom Menino, not to seek re-election to a sixth term in office has set off an extraordinary flurry in political activity in the city of my birth. While Mayor Menino was elected in his own right in 1993, he was Acting Mayor upon the appointment of then-Mayor Ray Flynn to be US Ambassador to the Vatican some months earlier. As such, this is the first wide open mayor’s race since 1983, when the late Mayor Kevin White chose not to seek re-election and Mayor Flynn prevailed in what many observers regarded as the last, “old school” Boston political fight. With some 15 candidates having qualified for September’s preliminary election ballot, there will clearly be a political fight in 2013 though. These observers are right, however, in that there will be little “old school” about this year’s campaign. Boston is a city that has changed beyond almost all recognition since 1983; it is even a very different city than it was in 1993, when Mayor Menino was first elected. Countless large, ethnic Catholic (especially Irish and Italian) families, whose votes often helped determine the outcome of city elections, have moved out – in many cases, gentrification has pushed them out – of the city. In their stead, people with little or no familial connections to the city have moved both into city neighborhoods and into the downtown area, which once had very few residents. Some calculate that there may be 100,000 votes in this putative voting bloc alone. So, who are the candidates and what are their chances? A number of Boston City Councillors have jumped in. Councillors Felix Arroyo, John Connolly, Rob Consalvo, Mike Ross and Charles Yancey are in. Also, Suffolk County District Attorney Dan Conley is in, as are State Representative Marty Walsh and former state representative and Menino administration official Charlotte Golar Richie. These eight are widely regarded as the first tier candidates. Two community activists, John Barros and Bill Walczak, probably constitute the second tier. The remaining candidates aren’t serious competitors. Barros, who resigned a seat on the appointed Boston School Committee to run for mayor, is an accomplished and articulate lifelong Bostonian of Cape Verdean descent. A graduate of Boston College High School (he was a classmate of mine there) and Dartmouth College, he succeeded in the business world before returning home, becoming actively involved in his community and establishing a restaurant with family members. While he will undoubtedly run well in his neighborhood and gain some support from minority voters across the city, running for mayor in his first political outing is most likely too big a reach. Similarly, Walczak has an admirable track record of activism. Yet it’s difficult to see him becoming a factor in the race. In the first tier, it’s virtually inconceivable that Charles Yancey, a long-time city councillor who has pledged to simultaneously seek re-election to the seat he has held for decades, could win sufficient support across the city to be in the running. Mike Ross, a very capable and attractive political candidate, is hurt by not having an electoral base in one of the city’s politically powerful neighborhoods. The areas of the city he represents are home to voters less likely to turn out in municipal elections and are home to many new Bostonians. By my early reckonings then, that leaves six candidates with a realistic chance of becoming the next Mayor of Boston. They will fight it out over a long, hot summer to be the two finalists the electorate will choose in September’s preliminary election before the final in November. I’d make three groups of these six candidates. Into one, I’d put Conley, Connolly and Consalvo. Into the second, I’d put Arroyo and Golar Richie. And into the third, I’d put Walsh on his own. The analysis that led me to create these groups takes into account a number of factors. I believe that the two finalists will emerge from the three groups, but that there will not be more than one finalist from any of the three groups. In the first group, Conley and Connolly are already citywide elected officials with strong bases and healthy campaign finance accounts. Conley, however, was originally appointed to his office because of a vacancy and then elected in his own right in a non-competitive vote as the result of the untimely death of his chief opponent, City Councillor Brian Honan. The extent of his citywide appeal, therefore, remains something of an unknown quantity. Connolly, meanwhile, announced his candidacy before Mayor Menino decided against seeking re-election. The extent to which that might work against him among the mayor’s large cadre of devoted fans is uncertain. And Consalvo, who represents the same city council district once represented by Mayor Menino, will have the support of the city’s Italian-Americans and is rumored to be the mayor’s favourite. It’s an open question whether the city is ready for a mayor who is so similar to his predecessor. It may handicap his candidacy. These three candidates will battle over the same geographic, voter-rich base in the west and southwest of the city. It’s almost impossible to gauge who will garner the most votes, yet based in large part on geography, I don’t see more than one of them making the final. In the second group, Golar Richie has an impressive and varied resumé, which includes tenures in both the public and private sectors. She is also the only woman in the race. On the other hand, she has been out of the limelight for several years and will have to wrestle with other candidates of colour for the African American vote. Arroyo has run very well in citywide elections and has a solid base of support in the city’s Latino community and with the service employees union. But he is quite young and will be fighting it out for votes in the minority community with at least three African American candidates. African Americans are more numerous and remain more influential in city elections. Of course, minority voters will see this election as their chance to elect Boston’s first non-white mayor. Consequently, I believe they will turn out to the polls in better than average numbers. And I believe that Golar Richie will prove the stronger of these two candidates. Walsh, the son of Co. Galway immigrants, is in the third group alone. He is sure to run very strongly in two high turnout areas: coastal Dorchester and South Boston, the historically potent political neighborhood without its own mayoral candidate this year. A union leader as well as a state legislator, Walsh will do well with blue collar workers. He has also made friends in the minority and LGBT communities and will benefit from the assistance of supportive colleagues in the state legislature. Whether he makes the final will depend on how evenly the vote is spread among the other candidates. The more evenly it’s spread, the better his chances. A two-edged sword for Walsh is that, despite his heartfelt protestations to the contrary, if there is an “Old Boston” candidate in the race, he is that candidate. A little more than a week after the deadline for submitting voter signatures to appear on the ballot is very early to be making predictions. The extraordinary changes that have transformed Boston and dealt a serious blow to all the old truisms make the business of forecasting even more complicated. And a final prediction – I can’t resist – is that “New Boston” will engage to an unprecedented extent in the election of a new chief executive officer of their adopted city. If I’m right on this one, then some of the foregoing may need adjusting.